Who are your company's top performers? Who do you wish that you could clone? And how did you get so lucky as to hire them? Was it sheer luck? Maybe, at least in part, but you can also analyze what's behind great hires so you can get better and more consistent results. Quality of hire still resides near the top, if not at the pinnacle of all talent acquisition metrics. With so much riding on it, you'd think it would be better understood. That's not the case. Fortunately, it's improving through programmatic and data analytics. This technology is the reason why you'll master quality of hire in the coming year. Quality of Hire is increasingly regarded as the go-to hiring metric. Unfortunately, to be so important, it's also rather vague. QoH tells you whether or not a hiring decision was a good one. But how is ''good'' defined? If there was only one way to measure Quality of Hire, it wouldn't be so mysterious or hard to pin down. But what makes a quality candidate tends to differ from one company to the next. It even differs from one department to the next, and there's more behind it than a difference in qualifications and experience. Quality is subjective and those factors are only the basics. They could apply to almost any business. Yours will likely have many others to consider. While no one would argue about the importance of QoH, this metric tends to have built-in boundaries that restrict the scope of success. 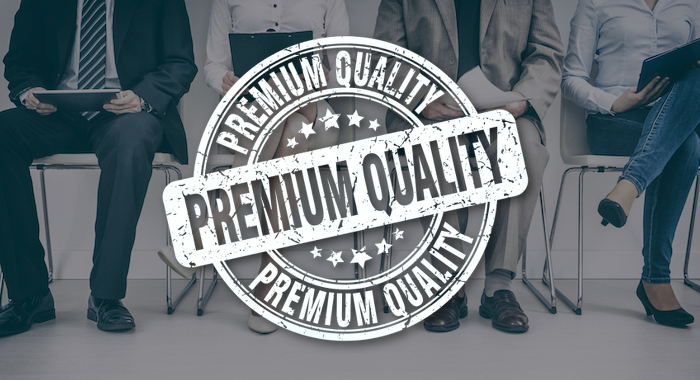 Stuart Jones, InSource Talent Ltd. consultant, writes at LinkedIn that certain constraints tend to steal some of the power of quality-of-hire. It's not an uncommon model, he explains. Project management regularly deals with the same constraints on quality. Time: how soon must a position be filled? Scope of work and resources: how difficult is the position to hire for and what kind of resources (such as technology) are available? These constraints are as evergreen for recruiting and hiring as they are for project management. The numbers and resources can and do change. But the parameters of quality usually don't. Time, cost, scope of work and the resources available to do it tend to define the work involved with filling every job vacancy. The candidate experience is becoming the center of the QoH universe. Interview Academy says the shift of power from company to candidate is a defining moment in the history of talent acquisition. Candidates are no longer desperate for a job. People who are at the top in their field, otherwise known as the people you want to hire, are as passive as they can be. They need a reason to care; a reason to engage and consider something new. Few workers could be considered highly loyal to any talent brand. But only a small percentage are actively looking for something else. More in-demand professionals are comfortable asking, ''What's in it for me?'' And they might never vocalize it. If the candidate experience isn't positive, they may never engage at all. Perhaps more of a quandary is this: your idea of what matters to candidates might bear little resemblance to theirs. They might not even realize what they'll respond to until after the fact. The only way for you to know is to study the data behind it. Sales and marketing have understood this dynamic for years. Just because a campaign sounds great to the sales team doesn't mean the target audience will care. That's what data is for. It discovers what they care about so your strategies and the tactics within them will hit the mark more often than not. Data lets you spot obstacles that stand in the way of the candidate experience so that you can work around them. It helps more of your talent acquisition strategies and the tactics within them hit the mark. And it guides you toward the best use of your budget for the most effective results. A solid candidate experience strategy has a few common features, no matter what position you're hiring for. Pay attention to candidates. Respond to their needs, value their time and communicate. Those are fundamentals. But they also only scratch the surface of what talent acquisition is learning about passive candidates in a candidate-driven market. If you asked a candidate what they want, employer branding might never come up. But it's vital to the candidate experience. A great employer brand gets to the heart of what makes a job offer attractive. Salary matters. So do other benefits. But brand perception speaks to the quality of work life. If quality is poor, attrition grows. That's great news when you're sourcing talent in a full-employment economy. Loyalty isn't what it used to be. It's bad news once an employee is on board with your company. How does data factor into employer branding? Insight. The more you know about a candidate, the more you can build an employer brand image that resonates. Data analytics helps you build a job candidate profile with traits that exist in your ideal employee. And data can reveal how well your branding campaigns perform and where they might need a tweak. Quality of hire might be a mysterious metric, but data is helping cut through the noise. It's hard to define and it's different to some degree for every business. But some things are universal. It's the convergence of the best use of budget, resources and time to reach the best possible candidate who won't abandon ship at the first sign of another job elsewhere. At no other time has technology been more important for QoH because it helps you meet each of those requirements. Technology helps you master quality of hire from the ground up. Big data, data analytics, and predictive data have the answers that you need for better sourcing, job ad placement, screening and engagement at every step of the candidate journey. 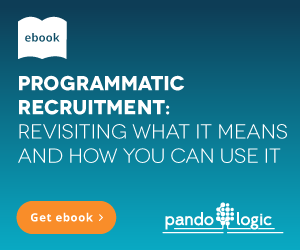 If that sounds like where you want to be, check out our eBook: Programmatic Recruitment Demystified to learn more. Carole Oldroyd is a writer and graphic artist living in East Tennessee. Her work has been published in the San Francisco Chronicle, LegalZoom, and numerous other magazines, websites and blogs. When she isn’t writing, she can be found restoring her historic Victorian home piece by piece. PandoLogic’s programmatic recruitment advertising platform helps employers source talent faster and more efficiently than ever thanks to predictive algorithms, machine learning and AI.